Win a family night out to the Stanley Park Halloween Ghost Train! Tonight our family and I enjoyed an evening out at the Stanley Park Halloween Ghost Train. This is our first year bringing the girls to the ghost train, and they loved it. We lined up for the train ride, with warm hot chocolate in our hands and waited patiently in anticipation. Once we hopped on the train we decided to sit at the back. Our youngest daughter sat with my husband, gripping his shirt. I sat with my eldest, and our middle daughter sat with her friend. During the ride, spooky music played. Every few minutes we could hear footsteps on the roof. We saw a live Dracula, Frankenstein, The Phantom of the Opera, and a werewolf gave us a bit of a scare too! The train ride lasted 14 minutes. It was such a creative, theatrical production! After the train ride, we checked out the Spooky Barn- an indoor haunted barn, with different spooky rooms. We also took a little walk through the haunted maze and did some coloring in the activity tent. In addition, they also have a pumpkin patch, movie theatre tent, live music, and a creatures of the night station. All in all, we had a great spooky night out! If you would like to take your family to the Stanley Park ghost train this month, they are open from Oct.9-Nov.1st and closed on Thanksgiving Day. Hours of operation are M-T 5:30-9:30pm and Fri-Sun 5:30-10:00pm. They also offer a matinee train from 11am-5;30pm, excluding live performers during the matinee rides. 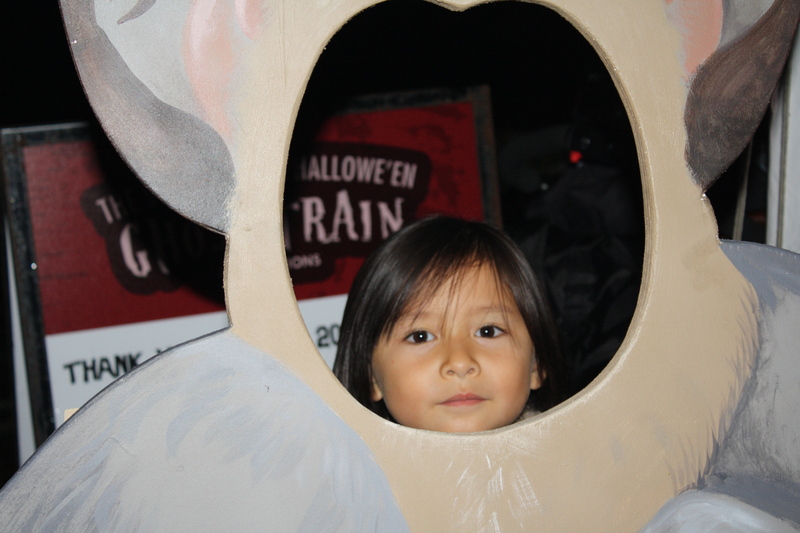 One lucky reader will win a family pass to enjoy the train on Thursday, October 15th from 7-9pm. Just leave a comment below telling me your favorite classic horror film, and the winner will be announced on Tuesday,Oct 13th! The Ghost Train is also collecting non-perishable food items for the Greater Vancouver Food Bank. 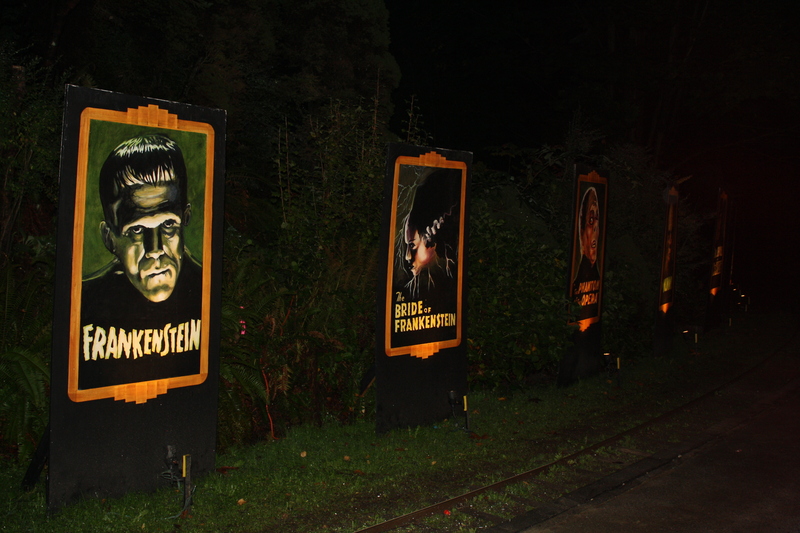 If you get the chance to make it, I hope you have a spooky time at the Classic Horrors Stanley Park Ghost Train! Scary Movies? ACK! Does Hocus Pocus count?